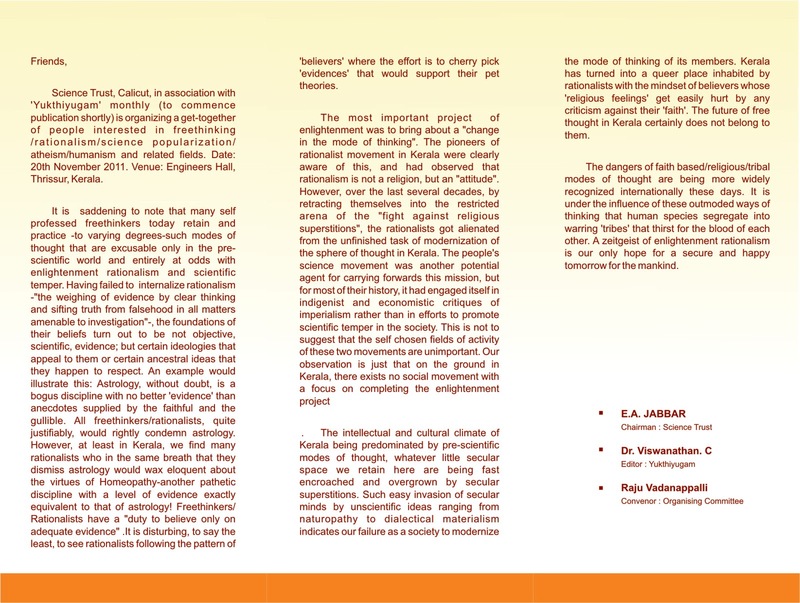 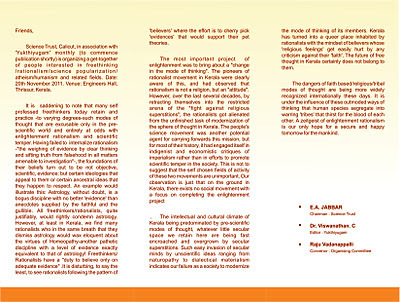 Here is a mail we have received from the organizers of a Freethinkers' Meet to be held in Kerala. 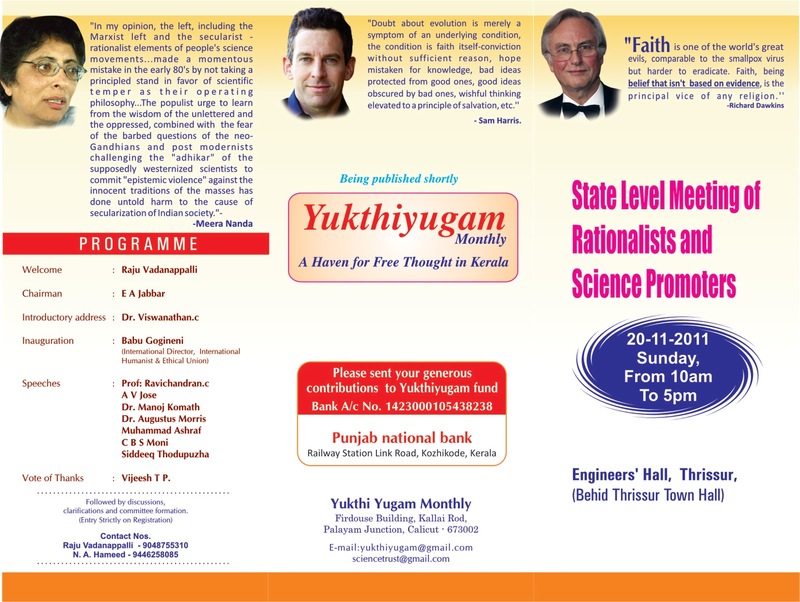 Science trust-Calicut and Yukthiyugam magazine ( to commence publication shortly) invite all interested friends to attend a meet at Thrissur, Kerala on 20th November. 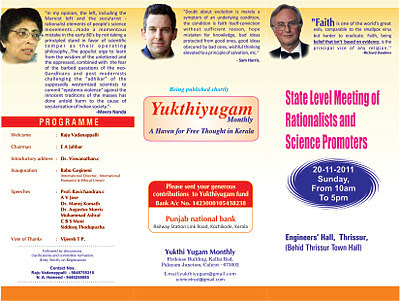 For details, please see the attached brochure.